Warm, durable and fully featured, the Montane Women's White Ice Jacket is built using ultra-lightweight Barrier Lite RS outer fabric and is filled with PrimaLoft Silver Down Blend insulation, a revolutionary hybrid material which combines all the insulative and packable properties of down with the wet-weather performance of synthetic insulation, making it perfect for deep winter use. Lightweight yet tough, Barrier Lite RS is a nylon ripstop fabric with a DWR coating, perfect for protecting the down blend insulation. 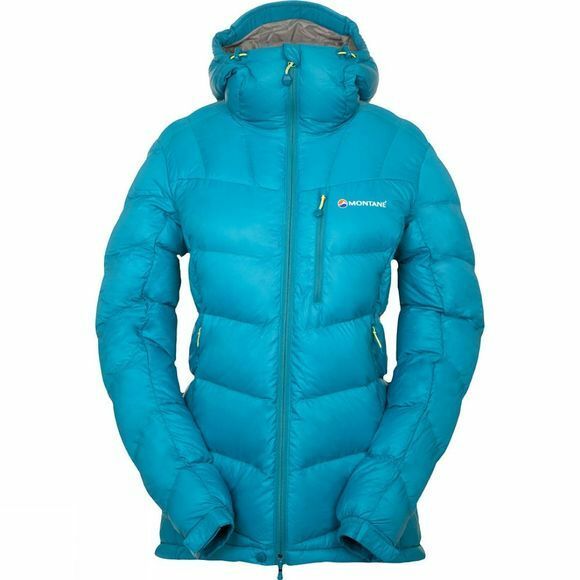 The jacket is filled with 254 grams of PrimaLoft Silver Down Blend insulation, consisting of 60-percent high-quality water resistant down with a fill power of 650+ fill, blended with 40-percent PrimaLoft synthetic fibres. A midi-baffle construction allows the down to loft while providing an active fit. Two microfleece-lined handwarmer pockets with YKK zips are positioned well clear of backpack or climbing harness belt and the internal zipped security pocket perfectly accepts a GPS or mobile phone. An internal storm flap behind the front zip, together with a press stud, secures hem and prevents weather entry. The roll-over chin guard is lined with brushed fine microfleece for comfort against your skin and a tall collar offers maximum storm protection for your face. 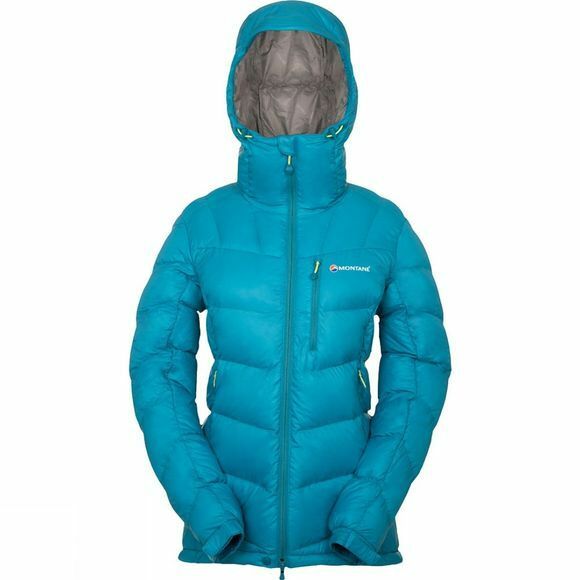 The fully adjustable hood is designed to fit comfortably over a climbing helmet. An internal elastic loop and external hook allow hood to be rolled down and secured while not in use in windy conditions. Side volume compression and face aperture adjustment allow a close fit around your head or helmet. A stiffened peak gives stability with a wired edge for adjustability.